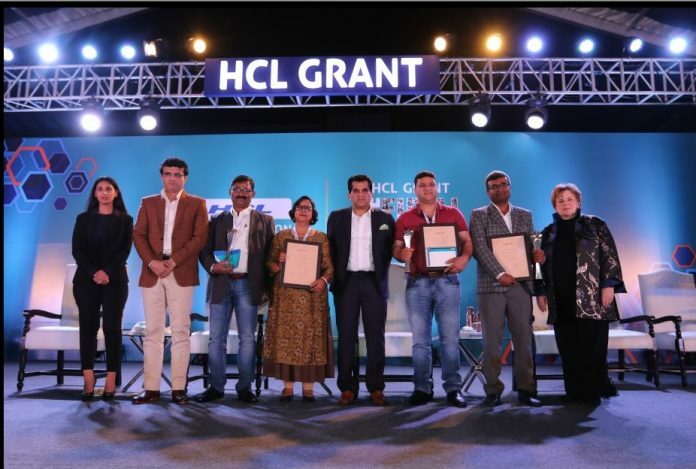 New Delhi: HCL Foundation, the CSR arm of HCL Technologies, announced the recipients of HCL Grant 2019 in the presence of Mr. Amitabh Kant, CEO, NITI Aayog and Mr. Sourav Ganguly, Former captain of the Indian National Cricket Team. One of the biggest and most coveted institutionalized CSR grants of India, HCL Grant recognizes the rise of community-led ecosystems of NGOs. 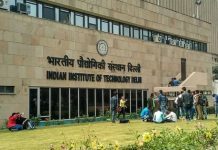 Three NGOs across the categories of Education, Healthcare and Environment received a grant of ₹5 crore each. This year, HCL Grant also introduced an additional grant of ₹25 lakhs each for the six finalists across the three categories, taking the overall Grant purse to ₹16.5 crore. The HCL Grant award ceremony, held at the HCL Technologies campus in Noida, was also graced by Mr. Shiv Nadar, Founder & Chairman, HCL, Ms. Roshni Nadar Malhotra, Vice Chairperson, HCL Technologies and Chairperson, CSR Committee, HCL Technologies, along with senior dignitaries, bureaucrats, NGO-partners and the HCL leadership. o Project Title: Humanitarian assistance to strengthen inclusion and safety of vulnerable persons especially women and children in conflict affected areas of Jammu and Kashmir. o Project Title: Connecting Landscapes, Empowering People and Protecting Elephants- An initiative to secure the Baghmara – Balpakram Elephant corridor and protect the wildlife habitats of Garo Hills, Meghalaya. o Project Location: Garo Hills, Meghalaya. o Project Title: Educating the Women Farmers for better Livelihood Opportunities and better Income Generation. o Project Location: Hazaribagh and West Singhbhum in Jharkhand. During the event, the third edition of the “The Fifth Estate – NGOs transforming Rural India in Environment, Health and Education”, was also released. This is a comprehensive compendium detailing out the work of India’s top NGOs who are making credible efforts towards empowering rural India. This Compendium is put together basis the research that HCL conducts during the evaluation process of HCL Grant and serves as a point of reference for other organizations or individuals looking to support NGOs in a particular field. 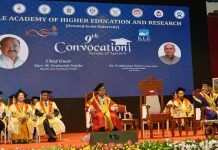 The eminent Jury for this year’s Grant was chaired by Ms. Robin Abrams and comprised Dr. Isher Judge Ahluwalia – Leading Economist and Chairperson, Board of Governors, Indian Council for Research on International Economic Relations, Ms. Pallavi Shroff – Eminent Legal Counsel, Shardul Amarchand Mangaldas & Co., Mr. B.S. Baswan – Former Director, Indian Institute of Public Administration and former HRD secretary, Mr. Richard Lariviere – President, Field Museum, Chicago and Former President of the University of Oregon, James Syring, Senior Vice President, Enterprise Operations Support, USAA. and Mr. Shiv Nadar – Founder & Chairman, HCL. “HCL Grant is a path-breaking initiative towards recognizing and supporting the inspiring work done by NGOs in three key development categories in India. It has been an interesting journey to shortlist the finalists and winners as all the entries had a significant story to tell with a visible impact on ground” said Ms. Robin Abrams, former president of Palm Computing and longest-serving Board member of HCL Technologies. The fourth edition of HCL Grant witnessed an overwhelming response from NGOs from across the country, with over 4,000 applicants. The applications were carefully scrutinized through a robust 8-month long process, monitored and audited by Governance Partner, Grant Thornton. Built into the Grant’s structure, beyond identifying the project that needs support, there is a system to fortify the organization itself, provide a methodology for implementation, and monitor the impact, sustainable in time and complexity.